If you’re camping to reconnect with nature, the last thing you want to do is destroy it. Camping is on the rise in the US and UK. But the more people take it up, the more harm we as humans are set to cause. So how can you enjoy camping responsibly? Luckily, green camping doesn’t need to be difficult. 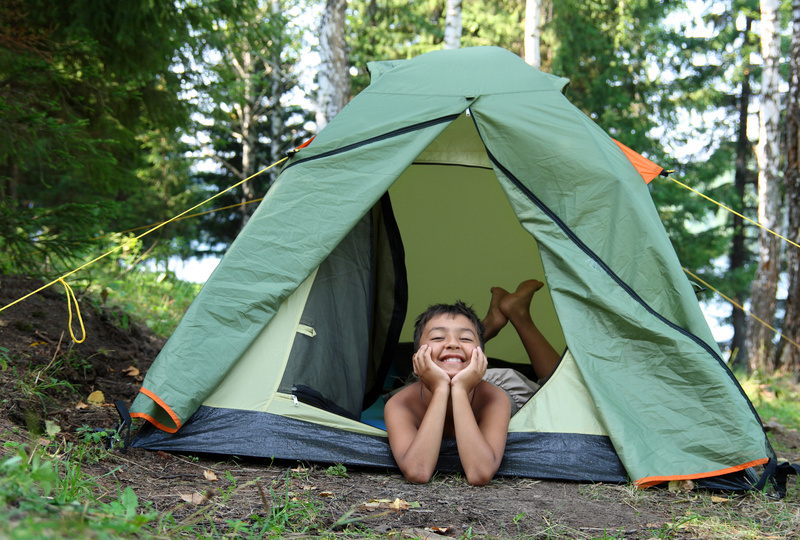 Pay attention to these 10 tips and you can have an eco-friendly camping experience. Some campers take camping as the ideal time to stock up on disposable goods. It’s easy to see why. Disposable items offer convenience at a low cost. But the cost ultimately comes from the damage they do to the environment. It’s not difficult to plan ahead. Buying disposables contributes to landfill and the perpetuation of the disposables industry. Instead, buy lightweight, reusable goods that are easy to clean and carry. There are plenty of manufacturers who make reusable goods for this purpose, so shop around before buying in the disposables. Again, convenience comes at a cost. Consider filling up a gallon jug before you head out. Not only will this save you money, but it’ll generate less waste than buying bottled water from a shop. Buying bottled water also contributes to the capitalist excesses of the water industry. Instead, simply fill up from your tap before you leave home. Take a look at the labels on your toiletries. See those chemicals listed? In some cases, toiletries even carry warnings that they pose a danger to animals. Avoid using these kinds of toiletries while camping. Cities have robust water treatment, but in the wild harmful chemicals are more likely to enter water courses and cause widespread harm. Try to pack eco-friendly, all-natural toiletries instead. Or even consider whether you need to bring them at all – it may surprise you what you can do without. This is the standard piece of advice when visiting the wilderness, and it’s a profound one. This means you should do everything in your power to not impact the area your visiting. Don’t leave junk behind. Don’t change the landscape by digging or moving things around. But it also means you should take nothing with you that you didn’t bring. Picking plants or berries or even carrying away old logs impacts the environment. You may not think you have much impact alone, but plenty of others will think the same way. Park trails don’t exist just to stop wanderers getting lost. They’re also there to protect the environment. Following the beaten path will reduce soil erosion and damage to flora caused by walkers. The boots of one camper might not make much difference. But consider what hundreds of boots per day can do. This also applies to choosing your campsite. Use sites like Campsited camping to find campsites and avoid camping in wilderness areas. If you’re going to visit a nature reserve, you don’t want to end up responsible for burning it down. A campfire is a traditional part of the camping experience. But you need to pay attention to local ordinances, especially in forest fire season. Build your fire in a firepit or protective ring of stones. Build it away from anything flammable. Keep it only as large as you need it and don’t use accelerants to light it. When it’s time to extinguish your fire, pour a generous amount of water until the hissing stops. Rake the ash and pour more water. The whole thing should be cool enough to touch by the time you’re done. Otherwise, embers could flare up later. Never leave your fire unattended. And don’t use it to burn trash. Many items will release toxins when burned, and they may fail to burn up completely. The point of camping is to get away and spend time connecting with nature. Consider what you really need to take with you. The more electronic devices you pile on, the more batteries you’ll need to bring or the more energy you’ll use. Cutting down on unnecessary luggage can lighten the load for your green camping alternatives. Of course, you might need some entertainment, especially if the weather’s bad. But consider bringing board games and books instead. Not only are they better for your mind, they’re also better for the environment. There are some devices you can’t do without. But consider using a free, renewable energy source for true green camping. Portable solar lamps give you a light source at night without the need for batteries. Simply put them somewhere they can collect solar energy during the day and use them at night. Innovations in green camping technology have even led to solar-powered tents. These tents use solar energy to provide light and wireless power to devices. Many commercial insect repellants are highly poisonous to the environment. Consider working with more natural repellents to keep insects at bay. Dressing sensibly is always the first step – avoid exposed skin in vulnerable places. Natural substances like lavender are effective at keeping the bugs away. And if you’re having problems at night, consider an insect-repelling lantern. Are you a career camper, or just looking to get away? If you’re the latter, consider whether you need to buy all-new camping equipment. There’s a good chance you can borrow camping equipment from someone you know. And if not, you might save money and the environment by visiting thrift stores. Plenty of would-be campers stock up on gear before they decide if they like the hobby, so camping equipment often finds its way to second-hand sellers. Using borrowed or second-hand equipment reduces waste and manufacturing demand. The biggest upside to green camping is the way it ensures these areas will still be around to enjoy in the future. We’ve reached a make-or-break period of environmental awareness, so we all need to do our part to ensure we’re on the right side of history. Want more green living advice? Why not check out our tips for going green?